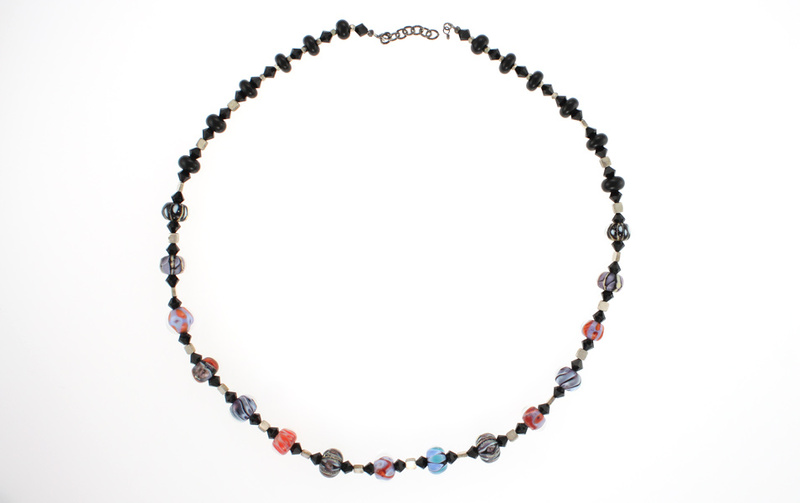 Jampwork’s beads are among the most sought after beads out there. This great necklace shows her artistry with glass in the fire. Swarovski jet crystals, sterling squares, extra sterling chain and a lobster clasp make it very versatile. Length is 24.5 inches.